Autel has a new drone, and it looks and feels a lot like the DJI Mavic Pro. The Chinese drone manufacturer launched the Evo drone this week at the Consumer Electronics Show in Las Vegas, Nevada. The foldable drone comes with obstacle avoidance via sensors on the rear and front of the copter. The drone is controlled via an RC transmitter with a built-in, 3.3 inch OLED screen that transmits live HD video as far as 7 kilometers. 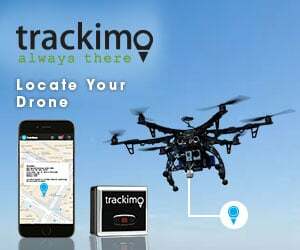 That’s a handy feature implemented by other major drone manufacturers like Yuneec, eliminating the need to connect an external device like a smartphone or tablet just to be able to see what the drone’s camera is seeing. Evo’s camera has a 3-axis gimbal and records high definition footage at 60 frames per second in 4K. It is expected to have about 30 minutes of flight time. Beyond that, few details, including price tag and delivery date, have been announced. As many have pointed out, the drone closely resembles DJI’s wildly popular Mavic Pro drone, albeit the orange shell. It’s a move resembling Autel’s strategy in the past with the Autel X-Star that launched at CES in 2016, which closely resembled the iconic Phantom 4 (and like Evo, was also orange). With the Autel X-Star, the company clearly tried to make some minor improvements, such as a removable gimbal, while pricing it slightly lower. The strategy seems to have worked — to some extent. The drone has received largely positive reviews on a range of factors, including ease of use, build and customer service. But Autel could face a wild ride in the rollout of the new Autel Evo drone. Autel laid off most of its U.S.-based sales and marketing staff last year. The company’s North American division CEO, Steve McIrvin, left the company a few months later. Of course, Autel isn’t the only one to have struggled recently to stay afloat. In September of 2016, 3D Robotics laid off 150 members of its staff. Parrot announced in January 2017 a plan to reduce its drone team of 840 employees by 290 people—about one-third of its staff. And GoPro this month reportedly laid off around 200-300 employees in its drone division. You wrote the x-star closely resembles the Mavic Pro, but I think you meant Phantom 4 Pro? think this looks a very capable and competent platform, despite DJI’s new offerings this will be on my shopping list for sure !